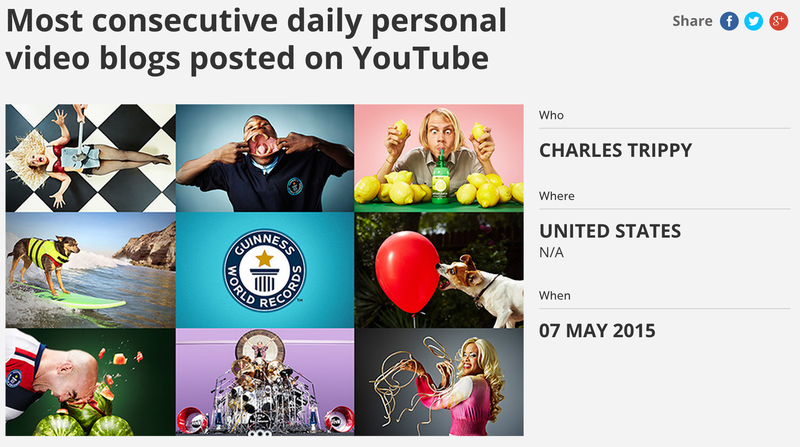 A large subset of YouTube, aside from viral videos and cats, is devoted to vlogs. Vlogs consist of multiple clips throughout the creator’s day, edited into a video that ranges from 5-20 minutes (personally my attention stops at the 8 minute mark), and uploaded on a semi-regular schedule to either their main channel or a second channel devoted entirely to vlogging. This all sounds well and normal, but could you do that everyday, non-stop for six years? Very few can. This brings me to the community known as Daily Vloggers. This style is slightly different compared to normal vlogging. It requires taking maybe hours of footage and edit it fast enough to post the next morning. Additionally, it requires a certain amount of comfort and confidence to make most of your life public, available for anyone to view at any moment. By daily vlogging I really do mean MTWTFSS, every holiday, every big event, the birth of your first born, everything. It’s often a misunderstood concept- vlogging does not mean daily vlogging. Often people do MWF or some variation therein. Some do without weekends, some do the full monty with every day of the week. I’ve elected to pick specifically the dedicated daily vloggers, weekends and all. This means that two vloggers who follow the everyday-sans-weekend schedule had to be left out- sorry Joey Graceffa (4.84M) and ItsGrace (2.5M). It’s very difficult to actually distinguish actual daily vloggers from daily(ish) vloggers, so if I’ve missed a significant vlogger let me know in the comments! Of all three, BFvsGF most recently started daily vlogs four years ago. CTFxC and SHAYTARDS (my keys are not malfuntioning, they really do everything IN ALL CAPS), however, have been uploading since 2008. That’s the past SIX YEARS. Over 2,200 videos, documenting every part of their lives. Privacy? Who cares. It’s like Keeping Up with the Kardashians amped up to the 1M degree. Officially, CTFxC holds the world record for “Most consecutive daily personal video blogs posted on YouTube“. On May 1, 2015 his vlogs entered their seventh consecutive year. Throughout this time he’s joined a band, dated, married, divorced, had treatment and surgery for brain cancer, and won several awards, all while continuously uploading everyday. During my research for this post, I gained a huge amount of respect for Charles Trippy. He’s got serious dedication (and balls). 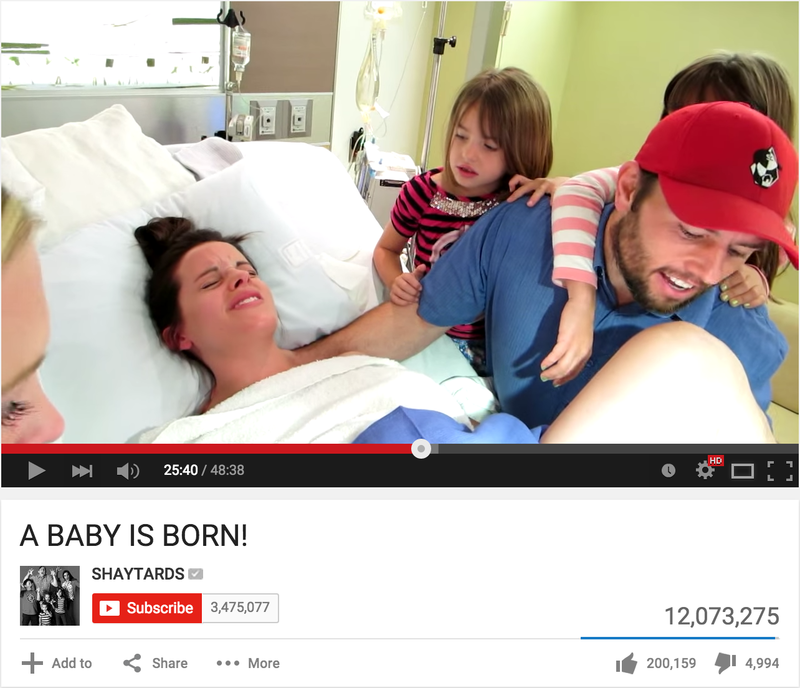 Shay Carl, comparatively, has more or less maintained the same life. His content focuses around his family. With six kids (two literally born on a daily vlog), substantial weight loss, a massive YouTube company, Maker Studios, and a documentary on the way, Carl definitely has the title of most successful daily vlogger. He started only a few months later than Trippy- October 2008 compared to June 2008- but has 2 million more subscribers than Trippy. The difference can be attributed to any number of factors: attitude (Carl is definitely more interactive than Trippy who is more subdued), content (family oriented), and variety of things occurring (I’d definitely say the six kids is a huge contributor). It’s important to note that Carl stopped the rigid structure of daily vlogs in 2014. He still uploads quite frequently, however, and will still upload the many, many details of his family life. Aside from those three, I need to mention two daily vloggers that really push the boundaries of content: FunforLouis (1.43M) and Casey Neistat (730K). Almost every Louis Cole vlog focuses on traveling. Even before starting his channel he emarked on a multitude of different projects including creating a bus that went to poor neighborhoods in London, helping combat destructive behavior through music. 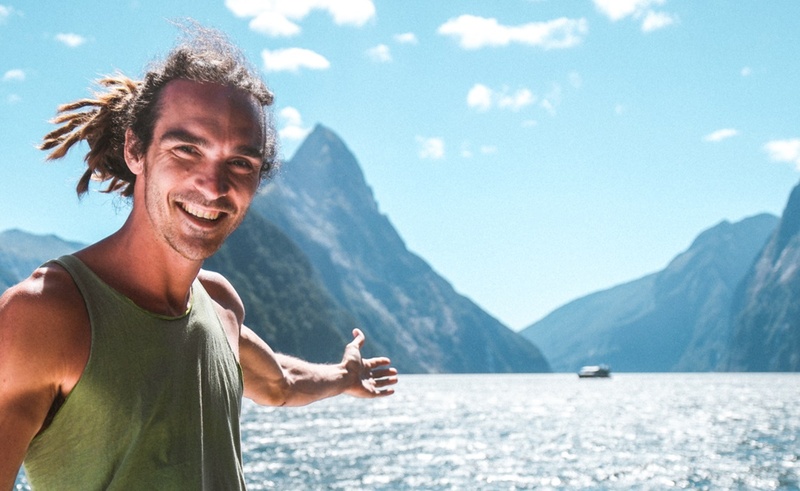 He’s rickshawed across India, gone to countless countries, and recently signed with Discovery Channel to host a series where Cole circumnavigates the globe. He truly is the king of travel. Casey Neistat, on the other hand, was already an accomplished filmaker before starting his daily vlogs. Seriously, he and his brother created a viral video before YouTube was even created. Due to the opening of his new business and several other factors, he announced that he’d be creating daily movies everyday for the foreseeable future. Starting on March 25, 2015 until the present he’s done just that. What I love about Neistat is how different he is compared to the rest of YouTube. He’s an adult with a full-time job, something that- as odd as it sounds- I’ve missed amongst the hords of teens dropping out of school to become full-time YouTubes (stay in school, kids). Additionally, while watching his videos it’s clear that he’s a filmaker first and foremost. There’s an underlying theme and story to every vlog that makes everything make sense compared to the jumbled messes that some vlogs typically are. Even though Neistat has only uploaded 80 vlogs so far, he’s already gained over 700k subscribers. It’s clear the YouTube community is taking notice of his unique style. Daily vlogging requires serious dedication. You must be strict, open to everything, but still keep it exciting even when your plans for the day just include grocery shopping. Success relies on personality and style. Even though Trippy and Carl have been uploading for 6+ years, newcomers are quickly gaining more and more subscribers. In the years to come, it’ll be interesting to see if this dedication truly outlives this transition. Credit to Karen Kavette for the Feature Photo!